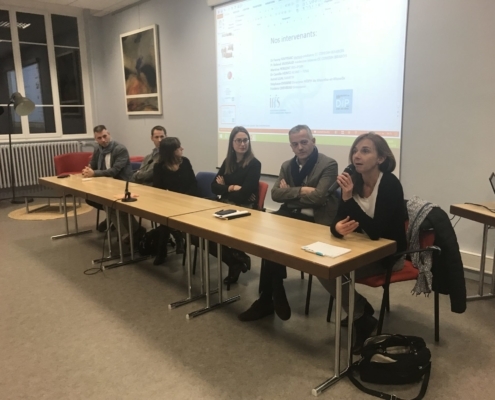 IRIS (French PID patient association) has launched an observatory on social rights for PID patients and their family. Its objective is to collect data to understand to which extent patients are aware of their rights and of the different means of support they may benefit from; to know more about the potential difficulties they may face in accessing them; and to identify their uncovered needs. This observatory consists in a questionnaire at first, that will be potentially followed by focus groups or individual interviews on more specific issues. The outcomes were presented during a meeting gathering patients and several key stakeholders representing the patient’s pathway. 501 people (53% female/47% male) responded to the questionnaire that was disseminated both online and through hard copies by healthcare professionals. All regions were represented. 70% of respondents feel that they are not familiar with the benefits they could claim for. Their main sources of information are their doctors (53%), the Internet (38%) and the patient association (21%). Social workers take the fourth position with 16%. In 2018, 38% of respondents filled a file at the MDPH*, the most important institution for disabled persons, from which 62% of applicants got a positive response. The impact of PID is felt in the daily life of patients throughout schooling and working life. 85% of the respondents consider that their condition has an impact on their school journey – 85% of absence which leads to grade retention in 13% of them. As per adults, PID influences their career paths needing a reorientation in 21% of cases; 6% a changed of employer; and 16% have a part-time work. 70% of patients have informed their general practitioner about their condition; 63% have informed their employers, those who did not fear losing their job or see an impact on their career. When absent from work, 57% of patients use sick leave and 21% take unpaid leave. Access to loan and its insurance is a difficult route and patients often face refusals. 45% had problems with loan insurance and 23% with getting loans. However, since 2018, a convention has been set up that applies to insurers and allows people with an increased health risk an easier access to loans and to loan insurance. But 39% of the respondents did not know about this agreement. When identifying the needs of patients, the survey helps IRIS finetuning its advocacy program relying on data and expectations of the patients. As a result of this survey a decision was made to work with the stakeholders as well as to redesign IRIS’ website to offer a more effective access to information and documentation on social benefits for PIDs, so that patients are aware of these whenever they need them. 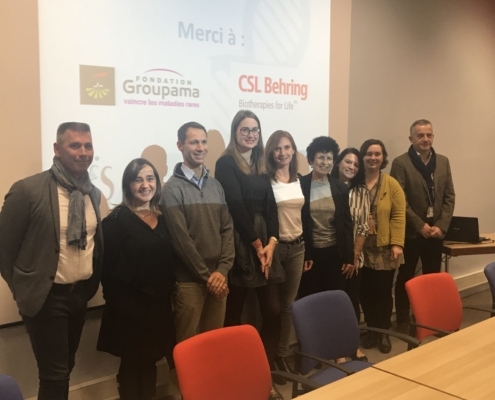 Left to right: M. CHEVREAU, insurances; Mme LEJAL, employment public service; M. DUSSINE, for disabled people public service; Dr HEINTZ, occupational practitioner; Dr FOUYSSAC, immune-paediatrician; Martine PERGENT, IRIS board member, project leader; Marie-Laure CORDEIRO, IRIS regional delegate; Virginie GROSJEAN, Executive director; Prof JAUSSAUD, internal medicine physician.